Director Stanley Kubrick’s landmark space saga, “2001: A Space Odyssey,” turns 50 this year, remaining remarkably relevant and influential even 17 years after surpassing its titular year. 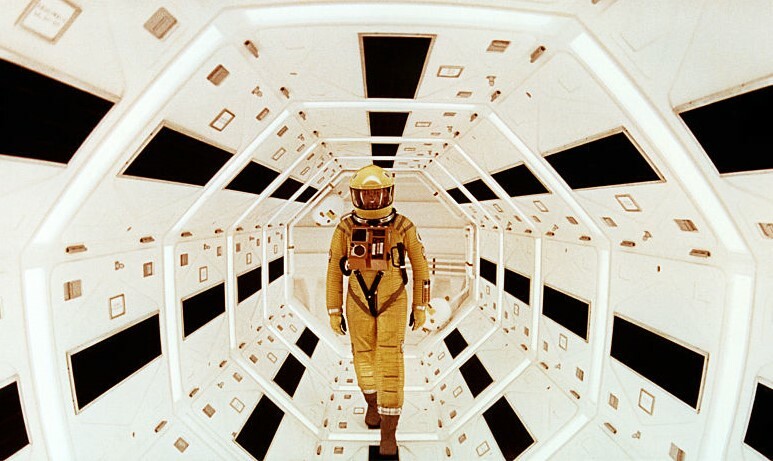 The film, released in 1968, predicted now-ubiquitous technology like flat-screen televisions, tablet computers, even the artificial intelligence of virtual assistants like Apple’s Siri and Amazon’s Alexa, said Barry Vacker, an associate professor at Temple University who wrote a book about Kubrick’s futuristic masterpiece and the countless space films that followed in its footsteps. In “2001: A Space Odyssey,” humanity finds a mysterious object, the monolith, seemingly left by extraterrestrials on the Moon’s surface, sparking a quest into the wider universe by people endeavoring to understand their place within it. The film was based in part on the works of science fiction author Arthur C. Clarke, who then collaborated with Kubrick on a full-length novel adaptation of the movie. It’s from that concept that space movies since “2001” often strive to launch: a journey to find our collective destiny, all while using ideas such as mysterious and inspiring extraterrestrial artifacts, the concept of spacegates or wormholes and the dangers of the computer age. “2001” and “Interstellar” are the two greatest space films. When I saw “Interstellar,” I thought it was totally inspired by “2001.” Underneath, it’s an incredibly optimistic film — that there is something left in humans of our curiosity and bravado, to take risks for the survival of our species, and for pure exploration of the universe. Rather than black monoliths on Earth, the Moon and in space, “Arrival” shows monolithic spacecraft arriving on Earth. The extraterrestrials seem to pose no threat, yet humanity’s tribalism and military machines may trigger war. Much like “2001” it ends in mystery, with no clear and cliche ending, leaving us in wonder. Are we alone? And maybe we can exist in peace with other intelligent lifeforms. This was the very first Star Trek movie from 1979, based on the original television series. This one tried to be like “2001: A Space Odyssey.” The movie tries to tap into the idea that the universe is awe-inspiring. I’m not saying it’s a great film, but it’s an ambitious film. It has a love-hate among “Star Trek” followers. It’s not a great film, but it’s interesting because it shows these humans going into a majestic universe. In “2001,” there is a warning not to let ourselves be dominated by the computer, but in “The Black Hole” there is an evil scientist dead set on experimenting with this black hole. This movie (based on the novel by Carl Sagan) was influenced by “2001” philosophically. Jodie Foster plays a scientist who believes in extraterrestrials and somehow she picks up a signal from extraterrestrial sources. As they decide what to do, plans get beamed down from the extraterrestrials telling them to build a transportation device — a spectacularly sleek device that looks like it could have been in “2001.” The scientist hurtles through a wormhole in this pod, much like the “stargate” sequence in “2001.” “Contact” is trying to go beyond what happened in “2001” by approaching other civilizations.